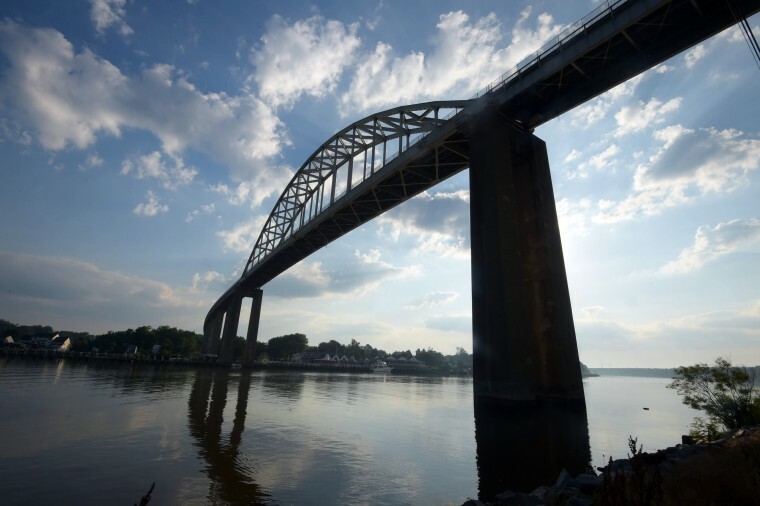 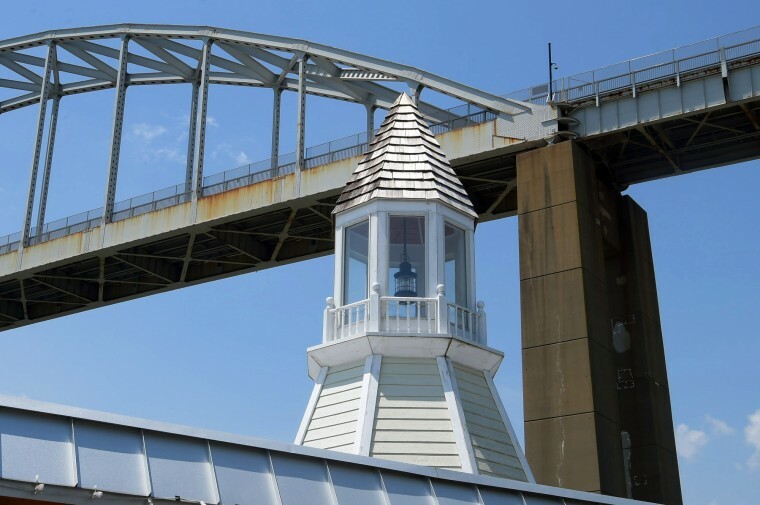 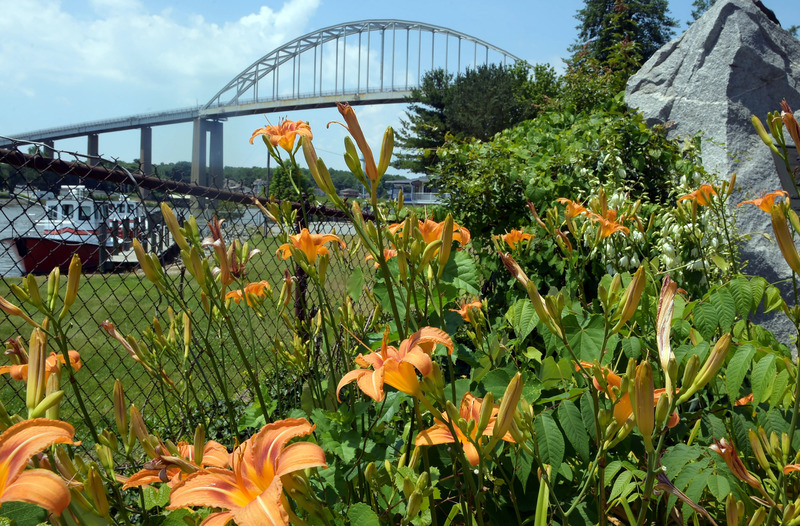 Two imposing fixtures define the landscape of Chesapeake City, a small town in the northeastern corner of Maryland: the C&D Canal and the Chesapeake City bridge which spans it. After several transformations, what was originally a small creek 66 feet across and 10 feet deep in 1828, the C&D Canal is now a waterway 450 feet wide and 35 feet deep. 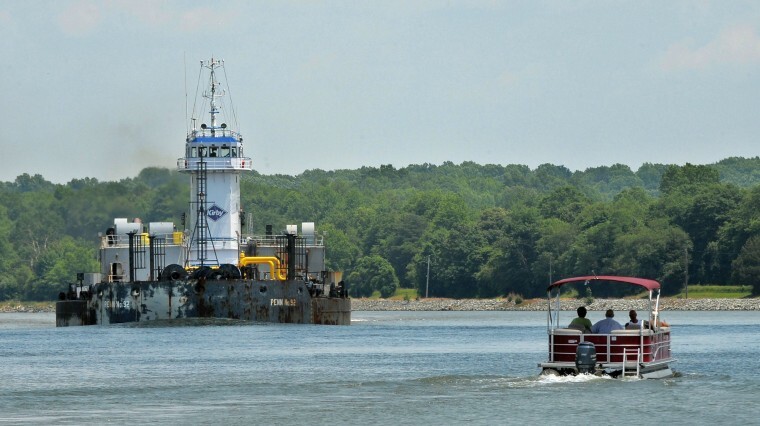 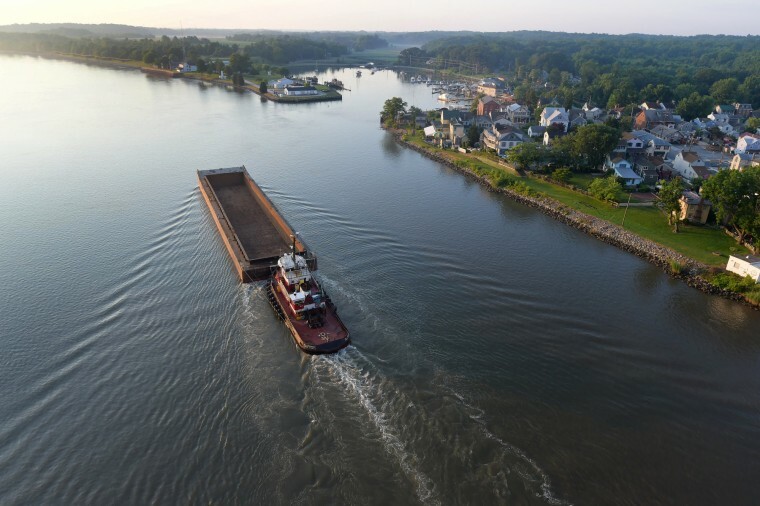 The canal eliminates an extra 300 miles of travel around Cape Charles and saves an estimated 40 million gallons of fuel oil annually by commercial vessels. 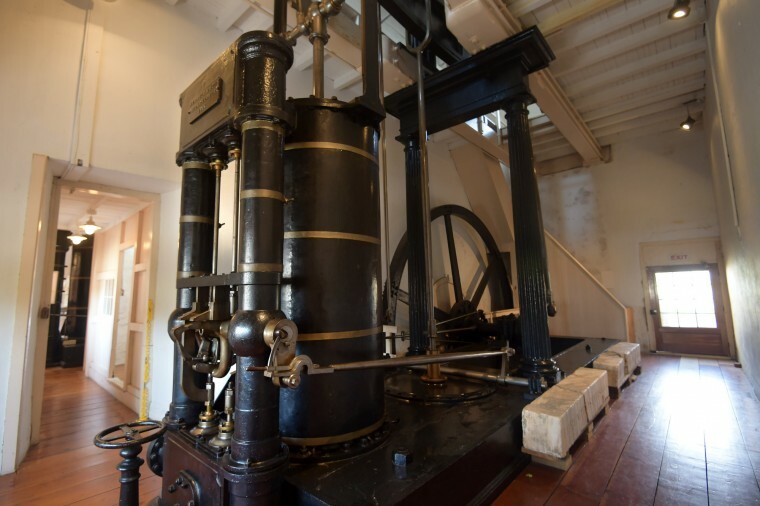 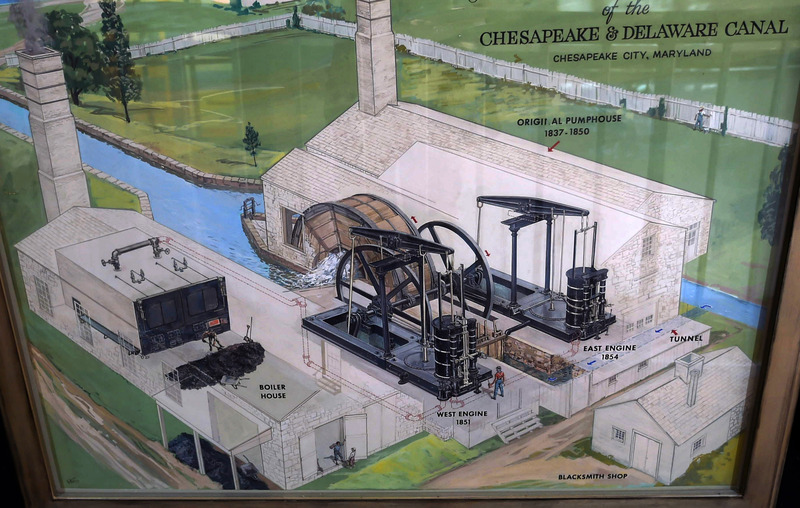 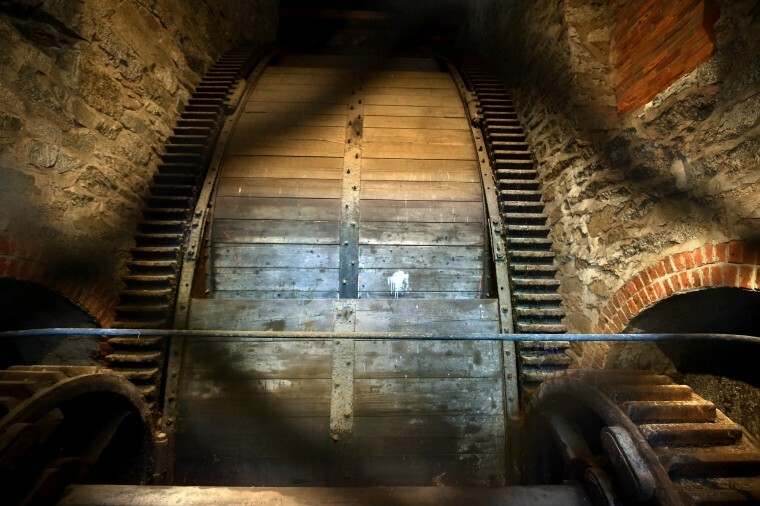 The C&D Canal Museum located inside the original pump house records its extensive history. 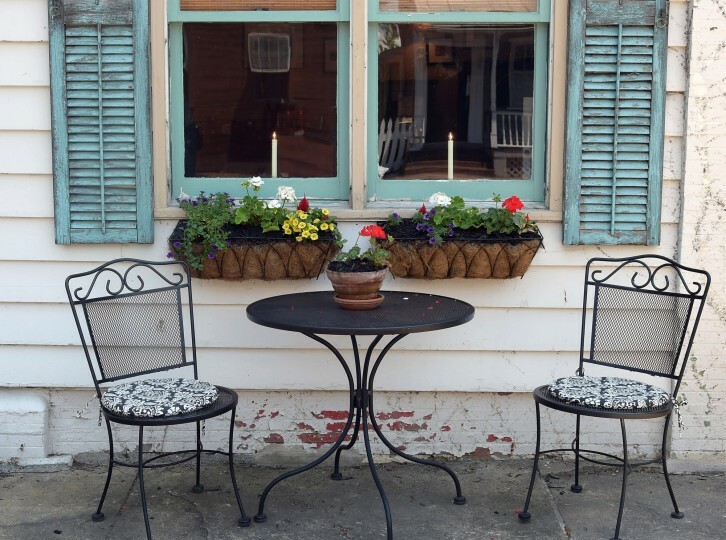 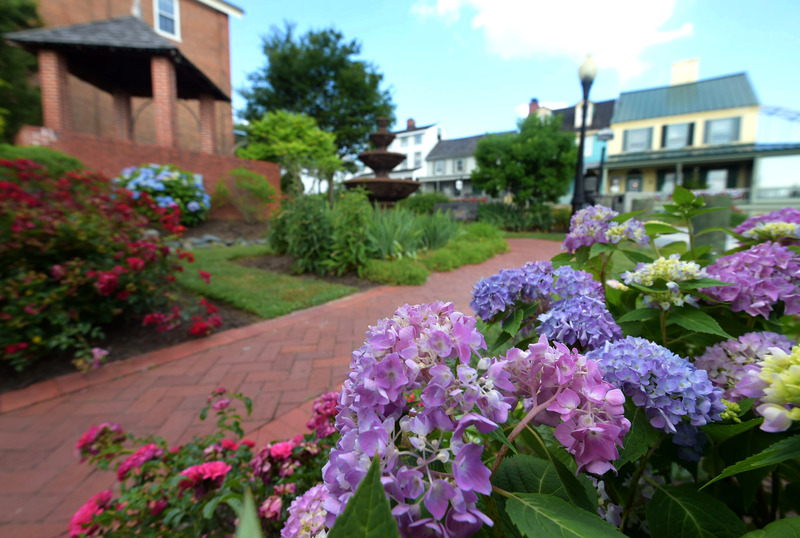 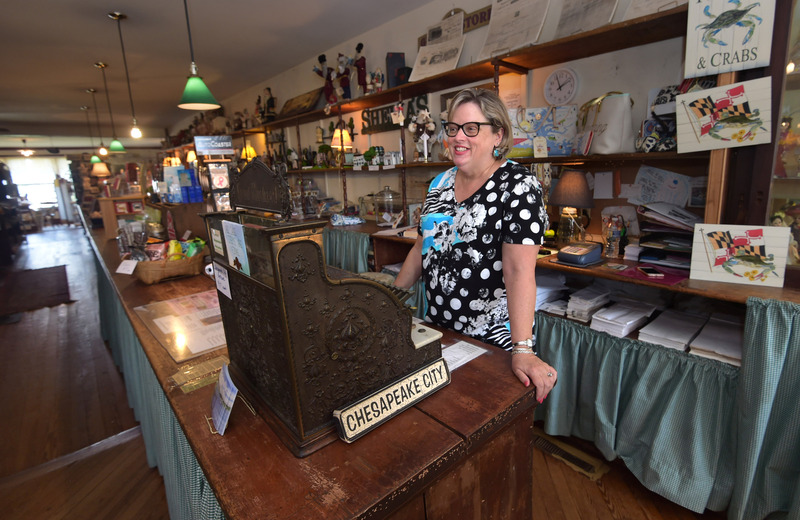 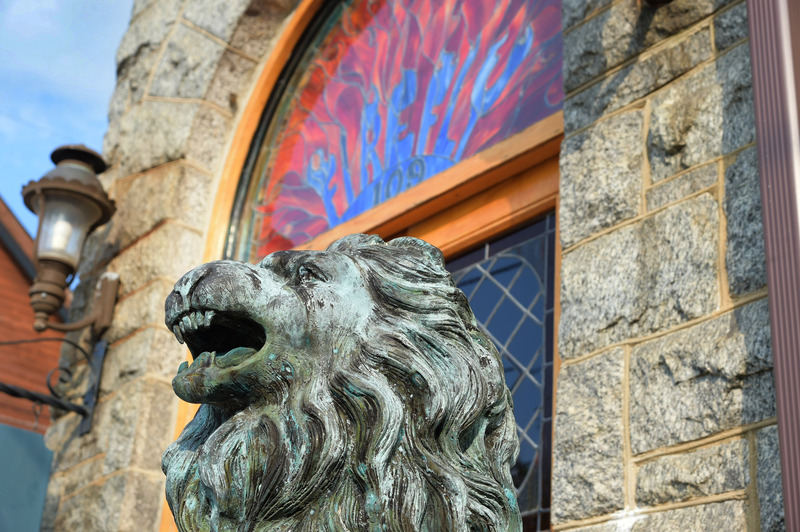 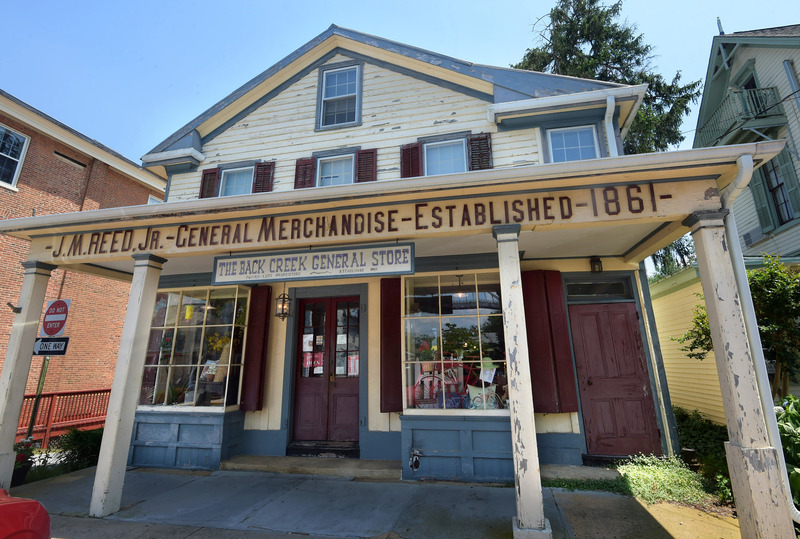 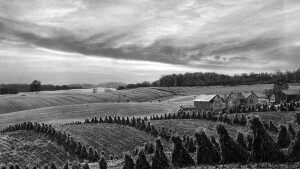 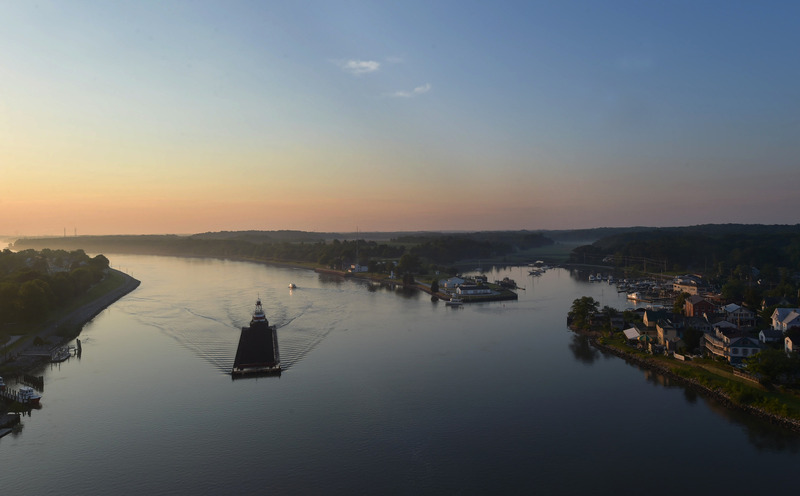 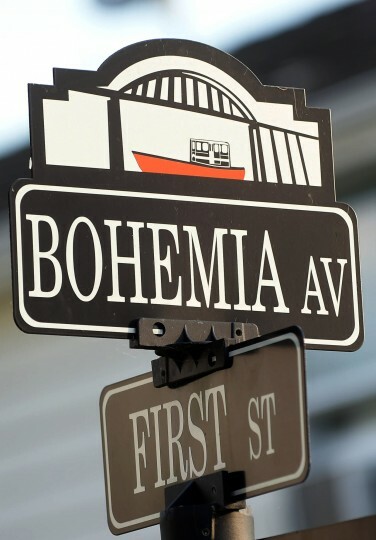 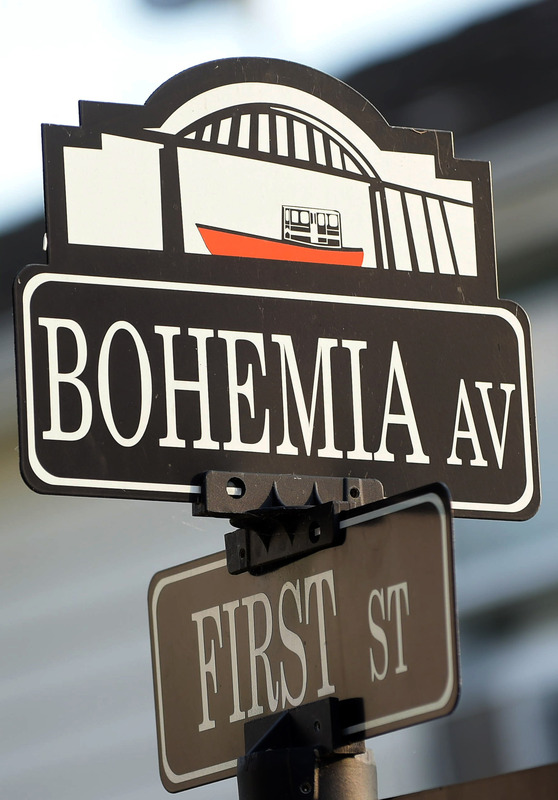 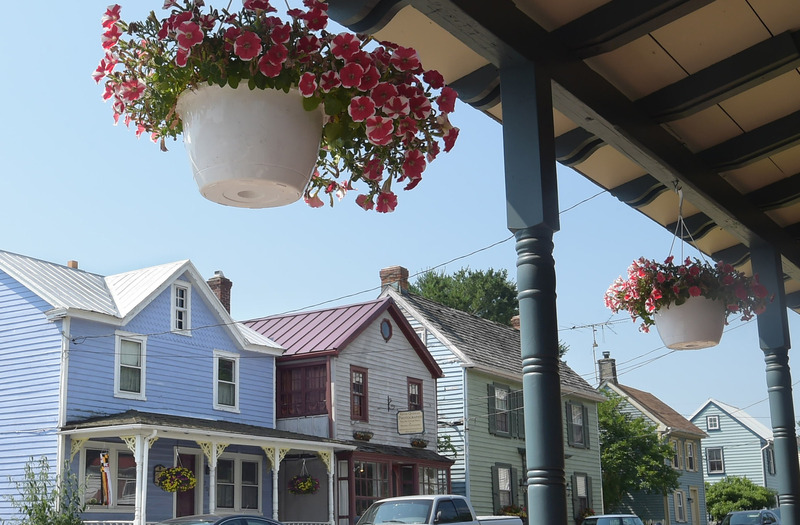 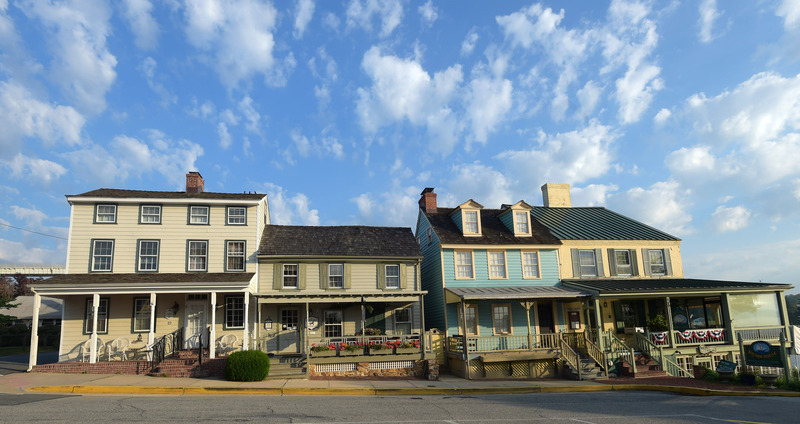 Despite the area’s present-day commercial importance, this town of roughly 700 residents retains its 19th century charm in the homes, shops, restaurants and inns in South Chesapeake City which is listed in the National Register of Historic Places. 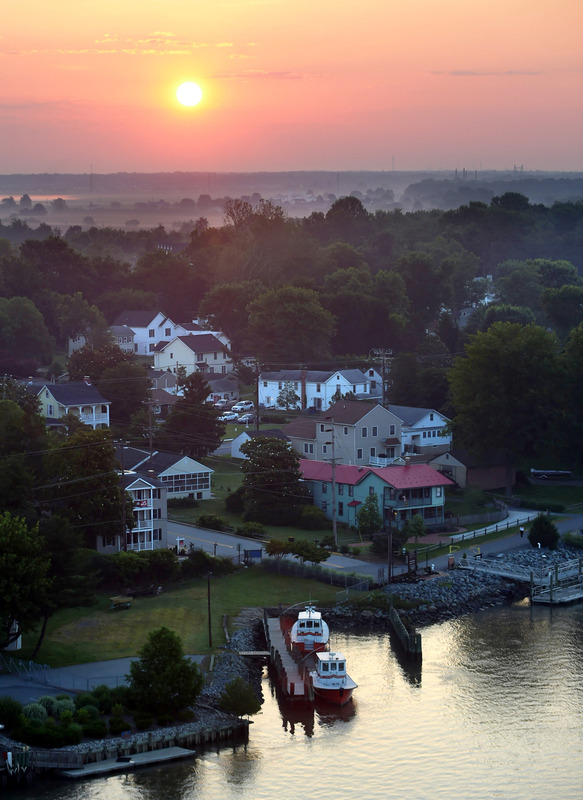 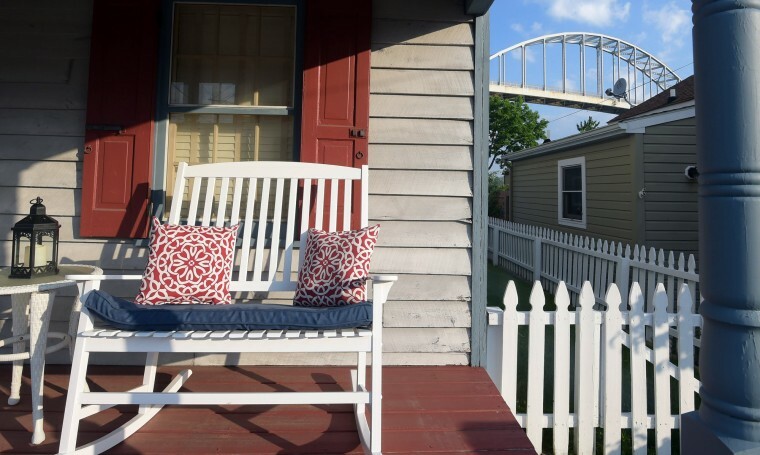 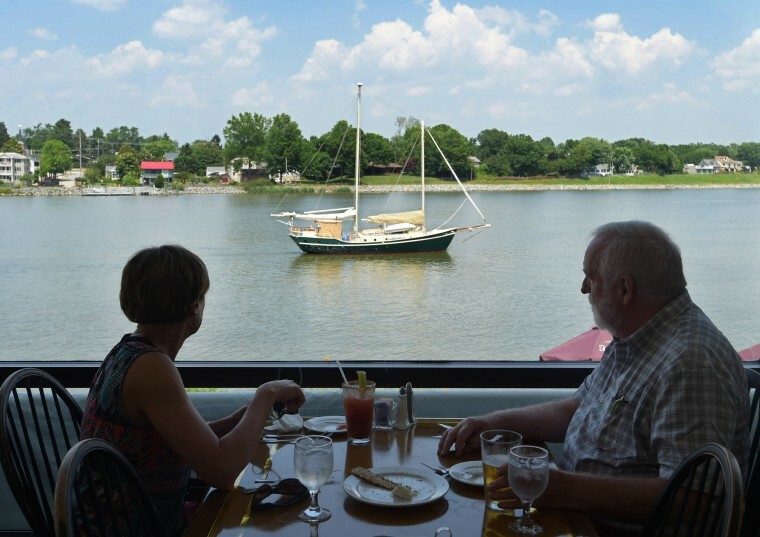 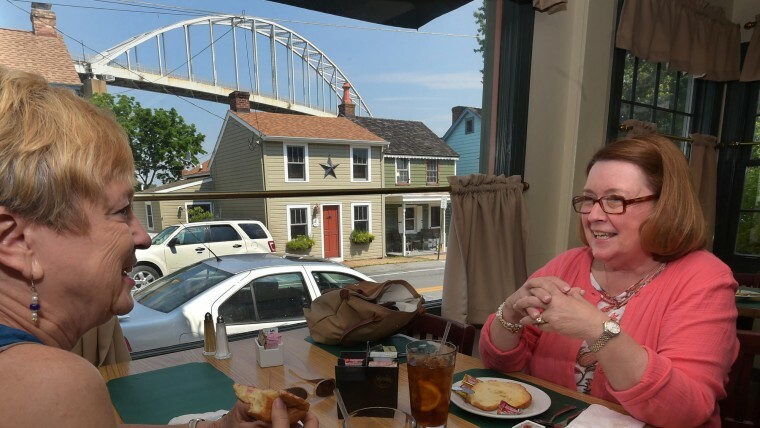 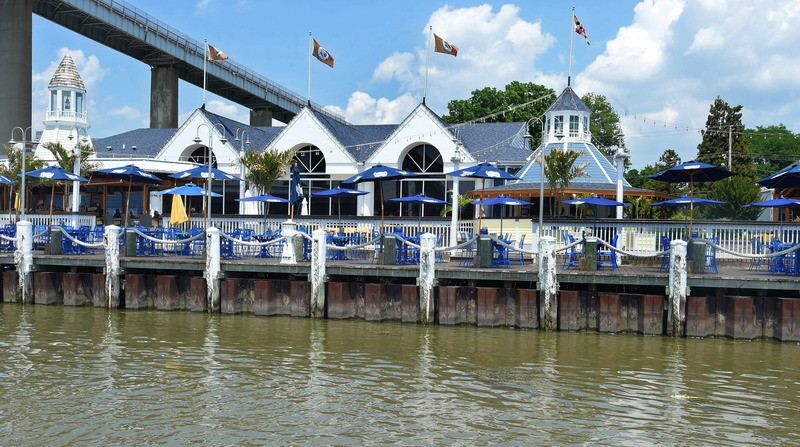 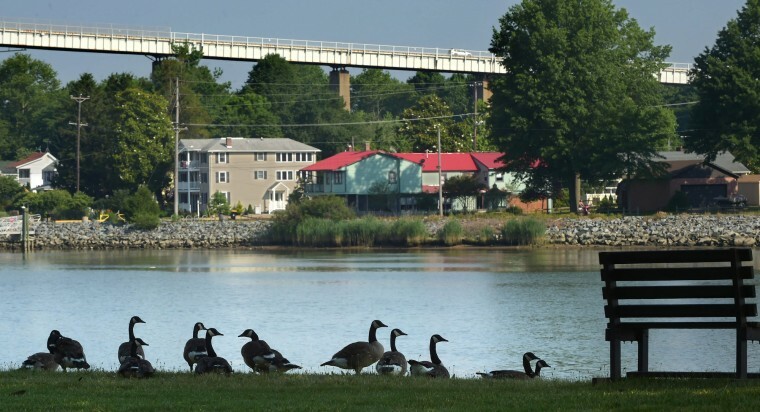 North Chesapeake City claims more modern homes and the popular Schaefer’s Canal House restaurant accessible by a short ferry ride across the canal. 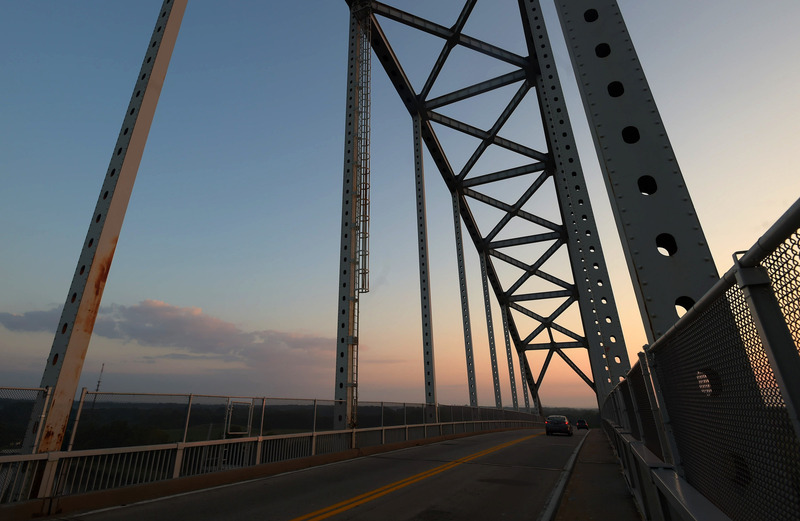 The Chesapeake City vehicular bridge connects the North and South sides of the city. 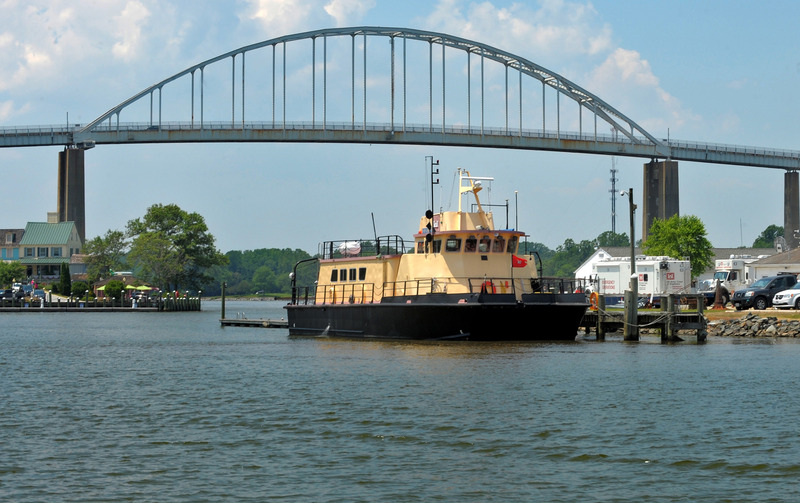 Built in 1949, this suspension arch bridge is the most recent in a succession of earlier bridges. 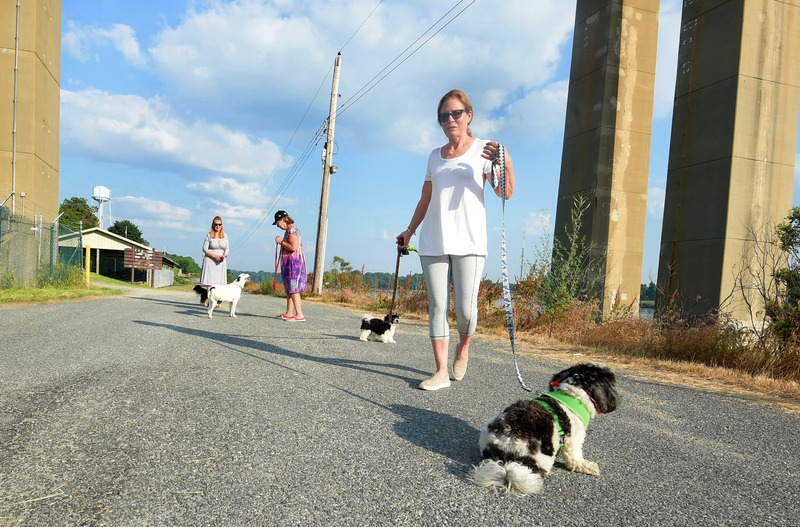 Also on the North side is the Ben Cardin C&D Canal Trail. 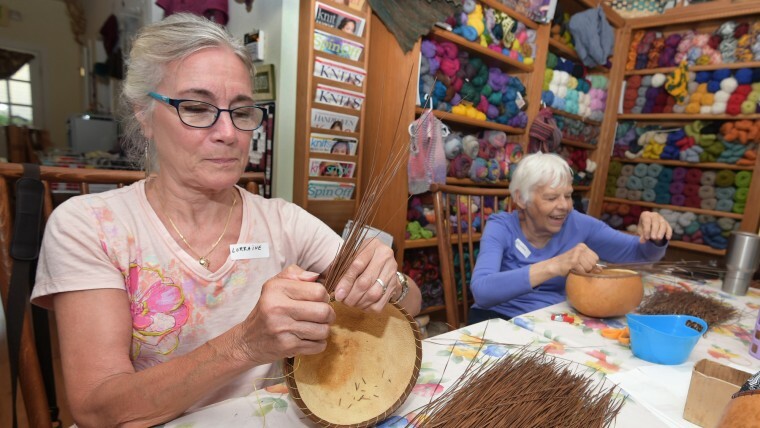 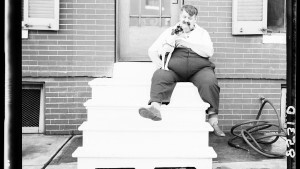 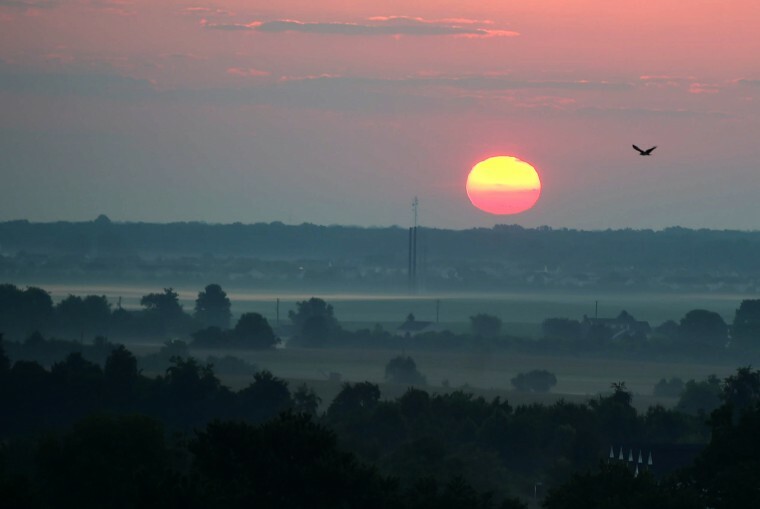 Newcomers or lifelong residents, the town is filled with friendly people walking their dogs along the canal or taking classes at Vulcan’s Rest Fibers. 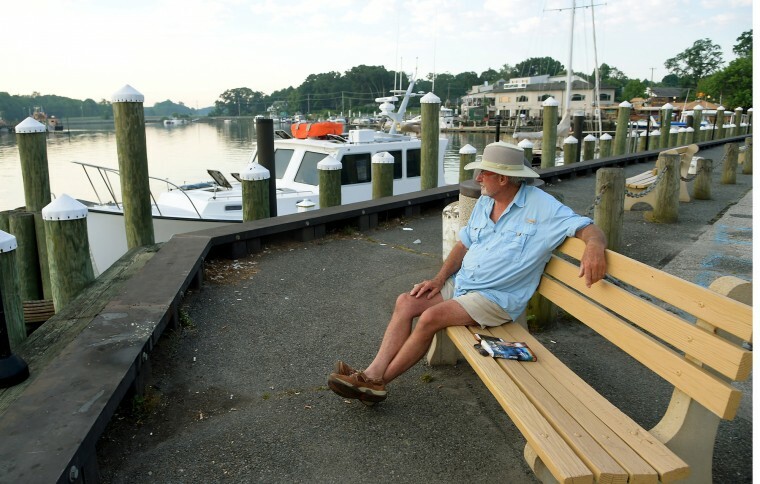 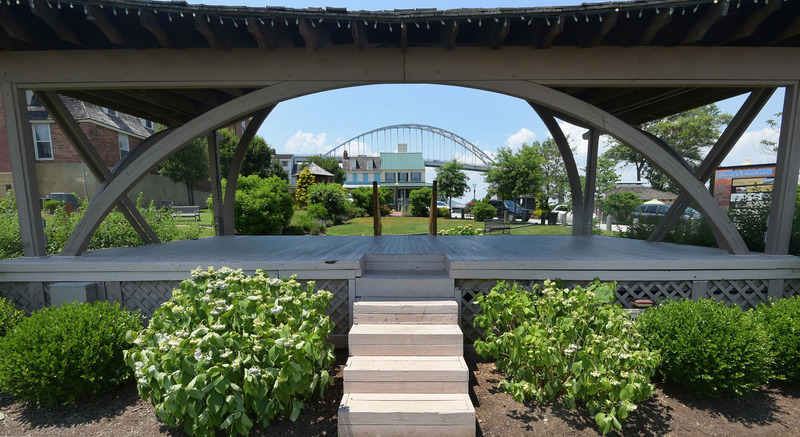 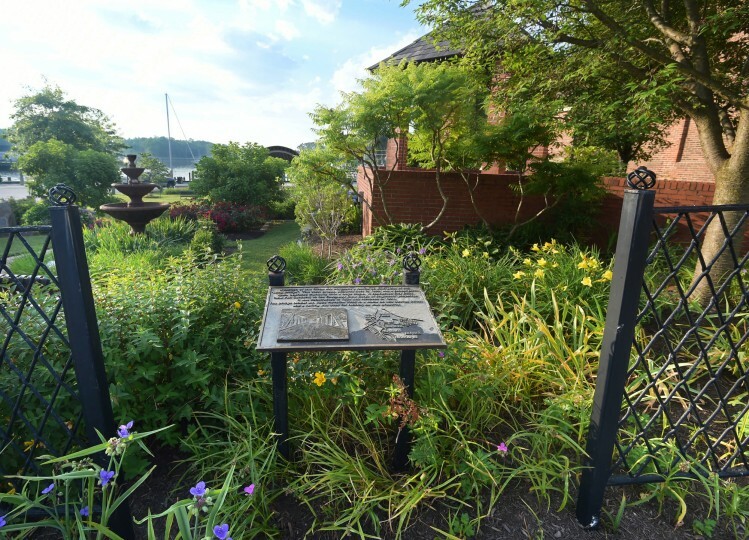 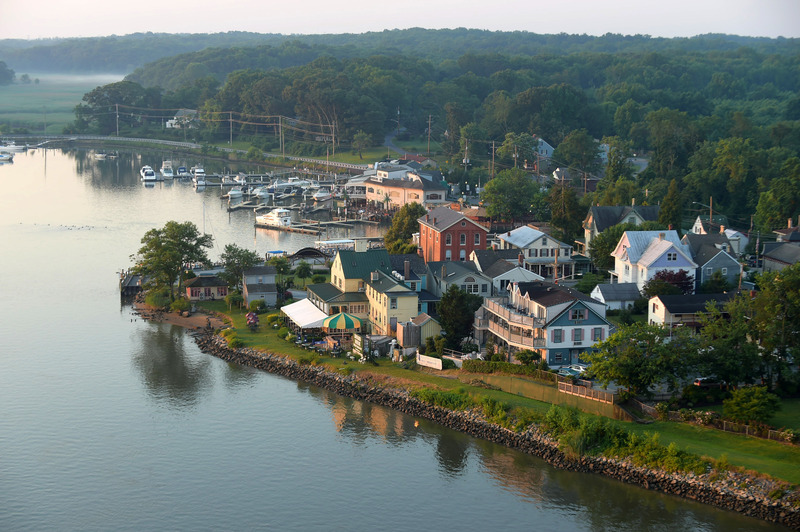 Chesapeake City provides the unique experience of enjoying time in a quaint historic town while watching a ship pass by.